Age 7 or younger is the prime time for kids to see the orthodontist. This doesn’t mean that braces will be recommended at this age for every child, but a consultation and evaluation at this age is the best way to know for sure. Orthodontists want to make your teeth look straight, but they also want to make sure that your bite is balanced. That’s why full braces are typically necessary even if you only want to have your front teeth straightened. It’s important to make sure that all of the teeth fit together properly after they have been straightened. An orthodontist has received several years if additional, specialized training beyond dental school. The cost of orthodontic treatment and the length of treatment can vary widely from one individual to another. Your orthodontist trusts you to take good care of your teeth during and after your braces. This means that you’ll need to keep your teeth and gums clean, eat well, and show up for all of your scheduled dental appointments. The retainer is mandatory. You’ll have to commit to wearing a custom retainer according to the orthodontist’s recommendation. Some retainers are removable and can be worn for a few hours each evening, and others are permanently attached to the teeth. 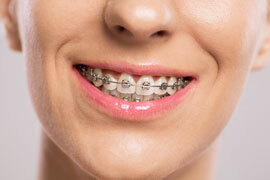 The need for retainers applies to both traditional braces as well as Invisalign systems. For a successful result with braces, a team effort is essential, and you’re a valuable member of the team. Contact a Sugar Hill GA orthodontist today to get started.